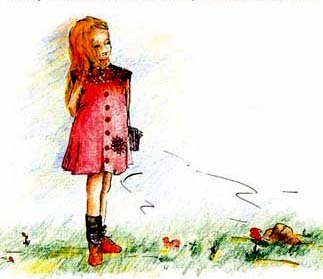 The Mouse Who Wanted To Stay In The Trap is a magical story about a little girl and a mouse. 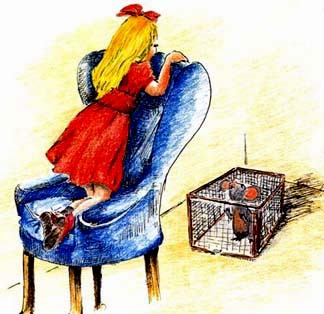 By caring for the mouse, the little girl learns a valuable lesson about herself. This story book will become one of every child's favorites. In fact, many teachers read this book to their classes and report that children love it. Children will want to share this with their friends as well. Suggested reading from "read to them age four" up to readers age twelve. Look below for a peek inside!! Her mother tried to buy her new clothes as often as she could. But many times she had to wear clothes that the church or other kind people would give to her. Many of these clothes were quite worn and faded. 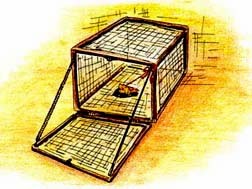 He intended to trap the mouse and then get rid of it forever. Her grandfather told the little girl to check the trap often. Then she was to wake him when the mouse was in the trap so he could take it out into the woods. She was even more astonished when she heard him speak with a squeaky little voice, "Please don't tell your grandfather that I'm in this trap, and please let me go. I do not hurt anything. If your grandfather finds me he will throw me out into the cold winter snow and I will die. Or he will feed me to that fat, lazy cat."